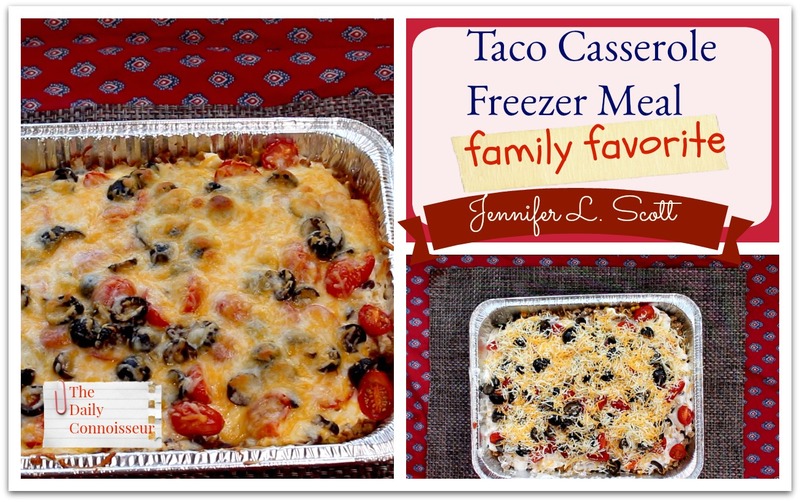 Today, I'm sharing a crowd-pleasing, highly tasty dish: the taco casserole. I initially saw this recipe on Mickey from My Bashful Life's channel. I altered the recipe a bit to suit my family's taste. This family-friendly casserole is easy to freeze and is a crowd pleaser, especially for the kids! Sauté the onion in oil. Add the ground turkey (or ground beef). Season with salt and pepper and cook until browned. Drain. Add the taco seasoning and water. Add salsa (optional). Add the black beans and corn and cook for 4 - 5 minutes. In a casserole dish or aluminum baking dish (if freezing), place the crushed tortilla chips. Top the chips with the meat mixture. Spread the sour cream on top. Place the chopped tomatoes and olives on top of the sour cream. Sprinkle cheese on top to finish. If freezing, cover with aluminum foil and label. To cook from frozen, place in a preheated oven at 350 degrees F for 1 hour and a half. If cooking right away, place in a preheated oven for 20 minutes, or until the cheese is nicely melted and the flavors have melded together. Enjoy with chopped scallions. Thank you for joining me today and I hope you have a lovely weekend. I'll see you on Monday for a decorate with me video. 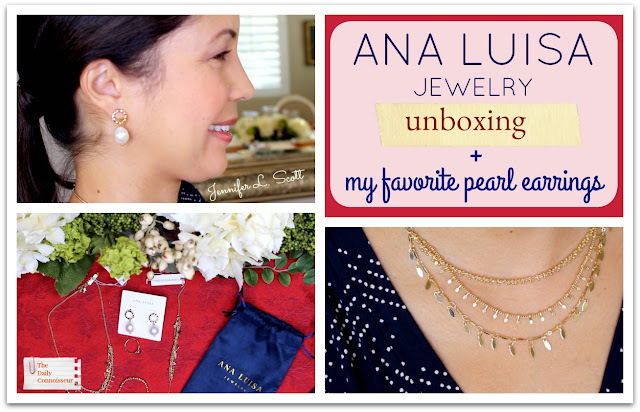 I'm partnering with Ana Luisa Jewelry again in today's video to share my top 5 picks for this winter season. I really like Ana Luisa's stylish yet modern capsule collection of jewelry. Their selections are not overwhelming and their pieces are all limited edition, so you can take comfort that they are not mass produced, but special and unique. I unbox my five picks with you and demonstrate how they look. Which one is your favorite? 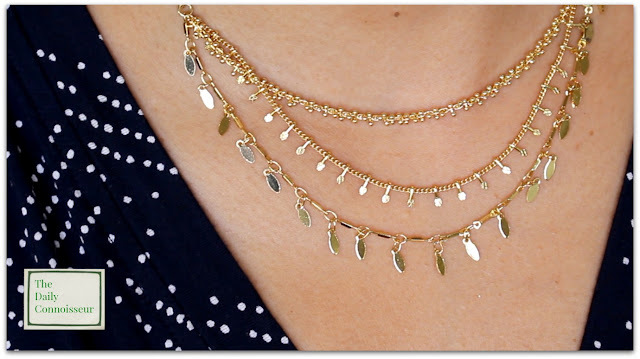 This is the Alexa layered necklace in plated 14K gold. The Virginia layered bracelet is the sister to the Alexa above. 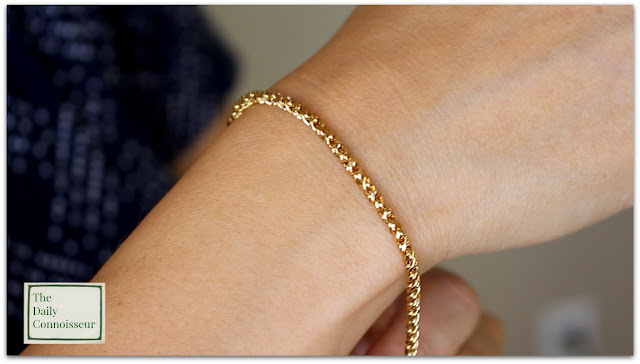 Plated in 14K gold, I like the delicate strands and textured layers in this bracelet. The Jin Lapis Lazuli ring is gorgeous and regal. I've been wearing it on my right hand and I love it. I love the royal blue paired with the gold. The Elina stacking bracelet is plated in 14K gold. I like the simplicity of this bracelet. It would look so pretty with a white sweater. I enjoy wearing this one too. And finally my absolute favorite: the Hope pearl drop earrings, which are dipped in 14K gold and feature stunning irregular pearls. I have been wearing these earrings everywhere. 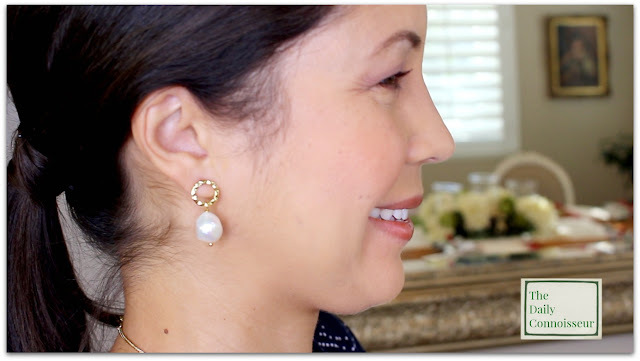 They are a modern take on the classic pearl earring and they add such a sophistication to any outfit. I love them! Ana Luisa have given us a discount code: use code Jennifer10 for $10 off your order. I hope you enjoy today's video and that it has given you jewelry inspiration. 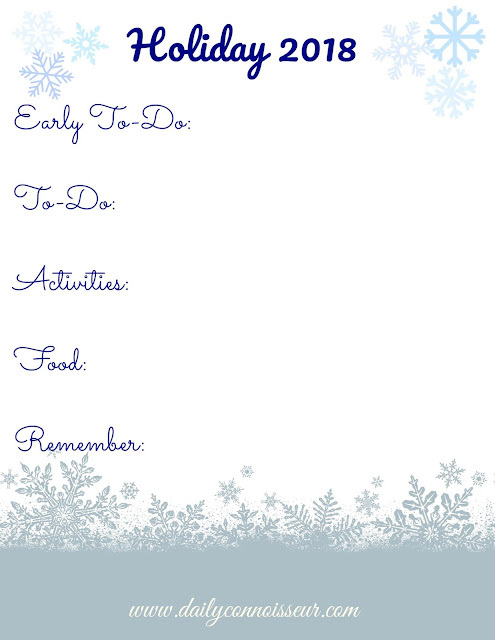 📍Download your free holiday planning printable from Monday's blogpost. 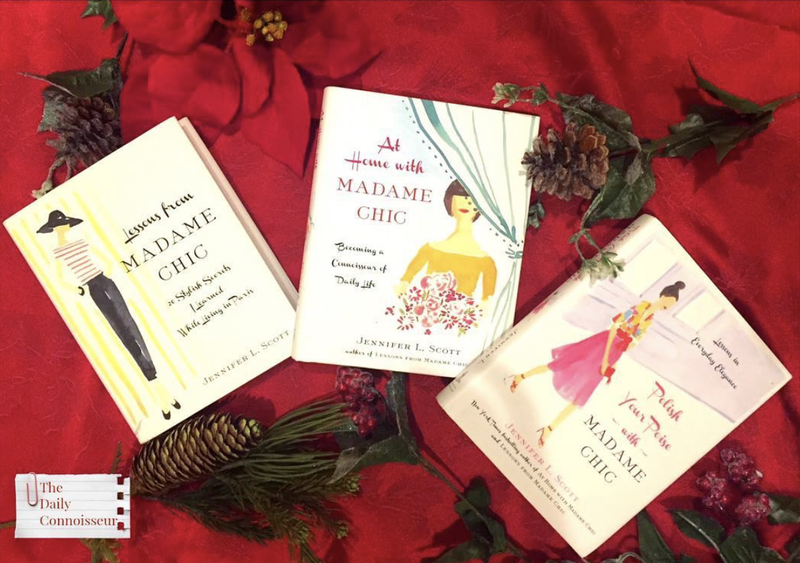 📍Lessons from Madame Chic is now available in Mongolia. 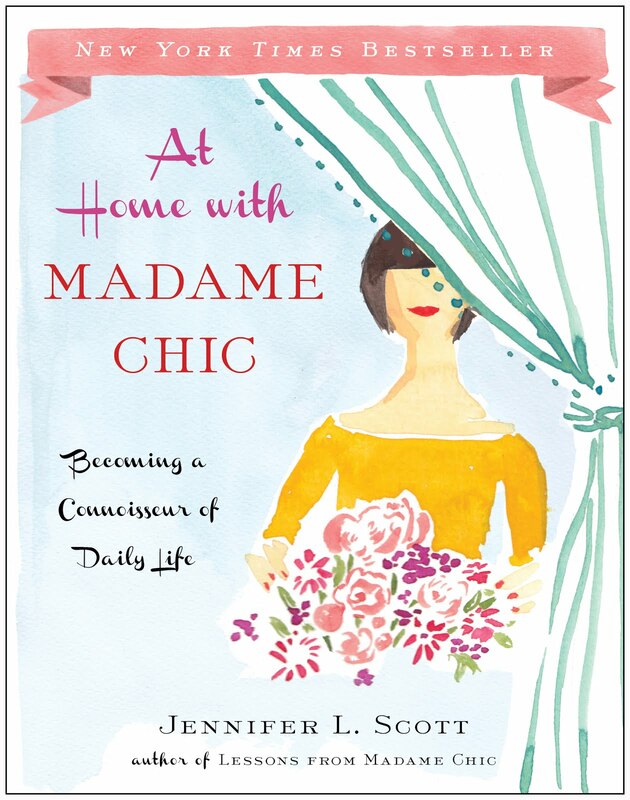 At Home with Madame Chic is now available in Vietnam. 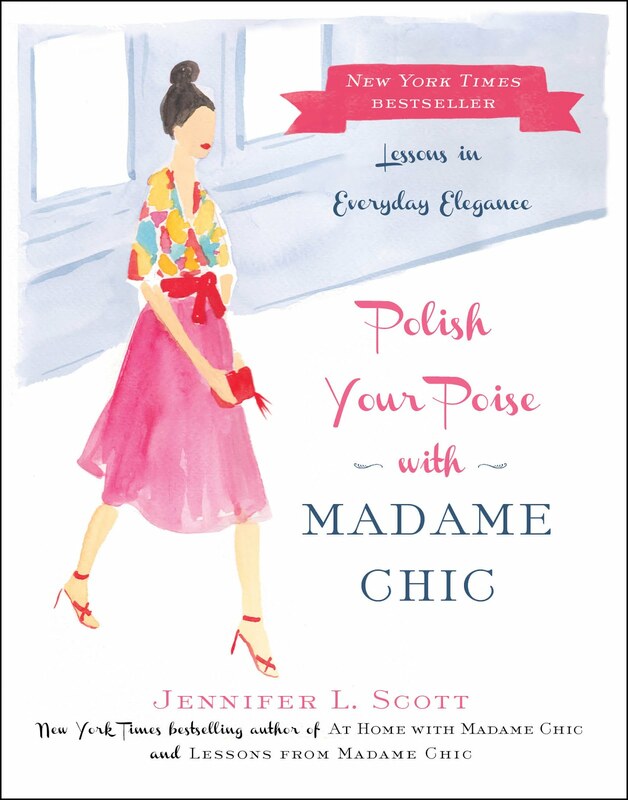 #richarddavidprecht #liebe:ein unordentliches Gefühl #jenniferlscott #Lessons from Madame Chic hoyulang ni unuudur duusgya. Regarding Monday's post with the free holiday printables, M Goss writes, "Hi Jennifer! Thank you for providing this free printable to us.I am so excited to use it. I used your 2017 Christmas planning sheet last year and I loved it. The holiday season was stress free. 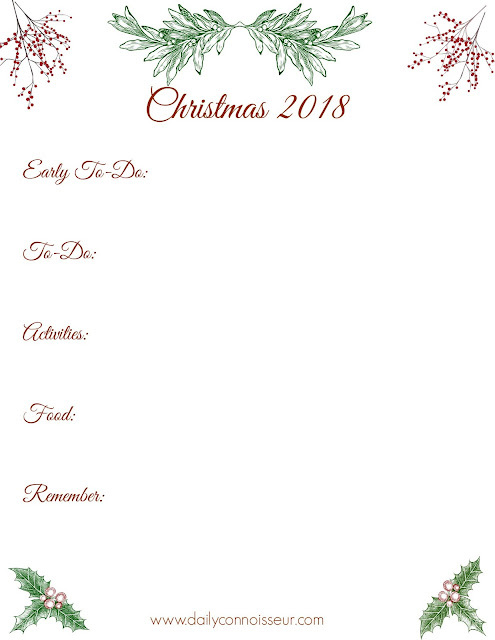 I look forward to using the 2018 printable. I'm off to download my copy right now.﻿"
Hi M, I'm so glad that the printable proved helpful in your planning last year. 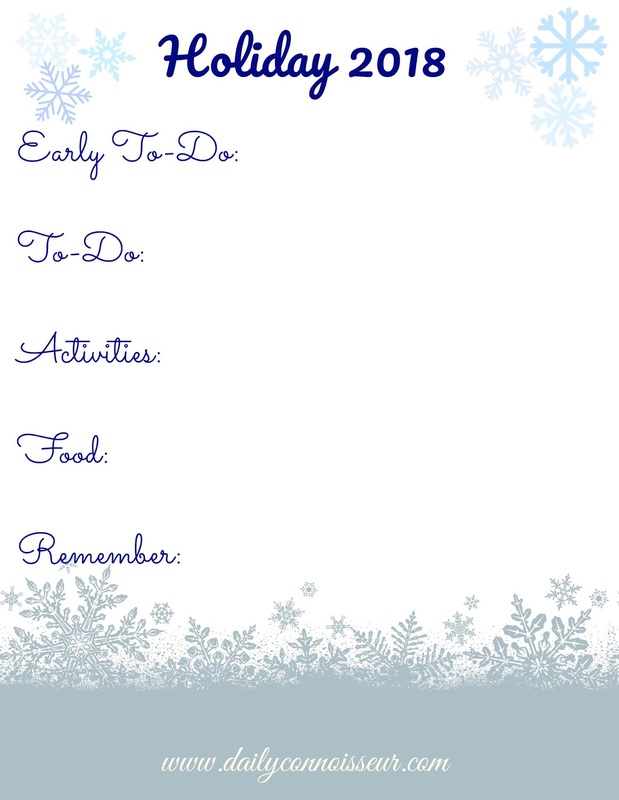 I hope you have fun planning for the holiday season this year too. Thank you for watching! Thank you to Ana Luisa NY for sponsoring today's video. Which piece is your favorite? Let me know and your comment could be chosen as comment of the week on the blog. See you tomorrow for a family-friendly holiday recipe. FTC: This post is sponsored by Ana Luisa Jewelry. Links are affiliate. I appreciate my sponsors who help keep my channel going. Hello dear friends, I hope you had a wonderful Thanksgiving. We had a great day. I had been ill the previous week (which is why I don't sound too great in this video) but I'm much better now. It was a fantastic day full of delicious food and remembering all that we are grateful for. 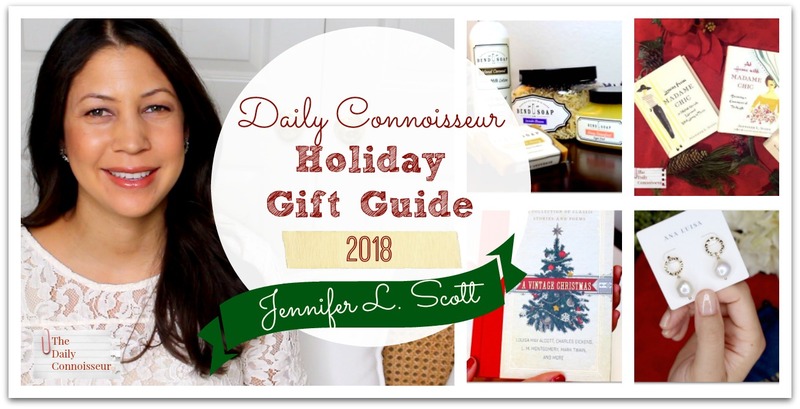 My annual holiday gift guide is here and I am excited to share my top picks with you in today's video. The Daily Connoisseur tote bag and mug make a great novelty gift for fans of this blog. On Instagram, Melanie writes, "I purchased both mugs and both totes. I will be tucking Jennifer’s books in the totes with the cups as gifts for my teenaged daughter and her friends. 😍" Melanie, what a cool idea. I love it! 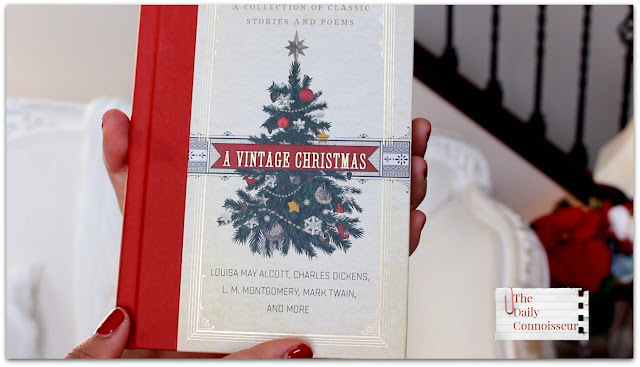 A Vintage Christmas: A Collection of Classic Stories and Poems makes a beautiful gift. This book includes authors such as Louisa May Alcott, Lucy Maud Montgomery, Mark Twain, Charles Dickens, and more. This is the type of book one could bring out each Christmas and enjoy for years to come. 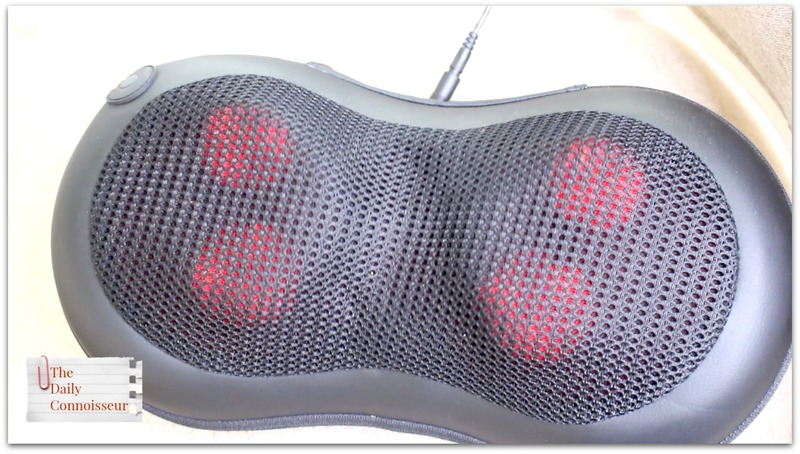 The Needak Rebounder is a big-ticket item, but would make a show-stopping gift. You know after Christmas everyone is interested in healthy eating, exercise and resolutions. Everyone in my family loves the rebounder. It's our primary form of exercise. The children even jump on it for several minutes a day. This would make an excellent gift. Needak have given me a coupon code to share with you. 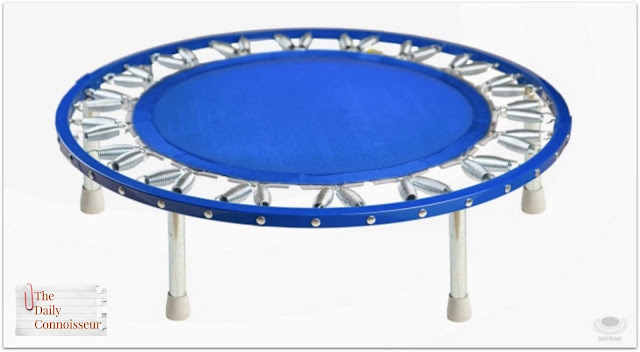 Purchase any soft-bounce rebounder (folding or non-folding) and use the code DAILYCONN to receive 6 free replacement springs with your order. (This code is valid until January 1, 2019.) (Please note, you will receive 6 free replacement springs, not 12 as previously noted. This is an update from the Needak factory). Also, another correction: regarding springs vs. bungees, bungees are replaceable, however their problem is that you don't notice their sagging. When a spring breaks, it breaks and you can replace it. This is the chief difference between springs and bungees. 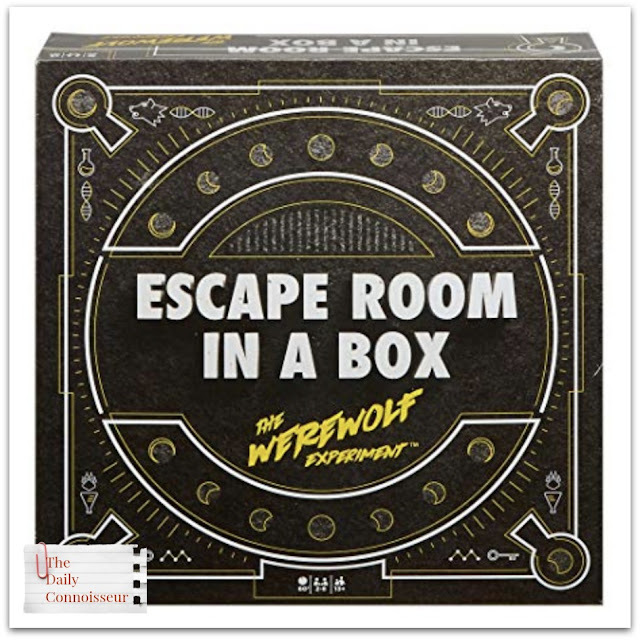 Escape room in a box: The Werewolf Experiment is a game designed by two dear friends of mine. Their game has taken off and was produced by Mattel and labeled by the Times of London one of three holiday games to get this year (next to Scrabble and Monopoly)! This makes a fun and unique gift and is perfect for anyone you know who is a fan of solving puzzles or taking part in escape rooms. Tired of giving out Starbucks gift cards and want something a bit more personal? 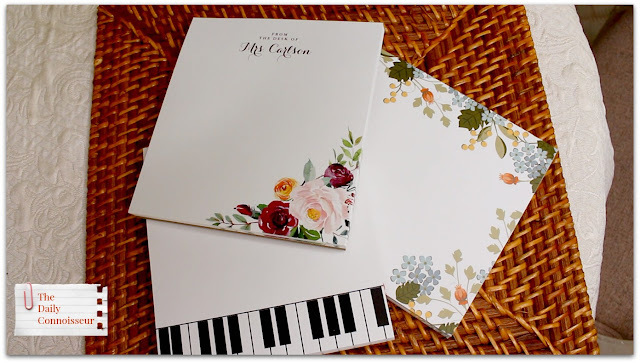 Customizable notepads from Zazzle are perfect gifts for teachers. OK, husbands, are you out there? This one's for you! 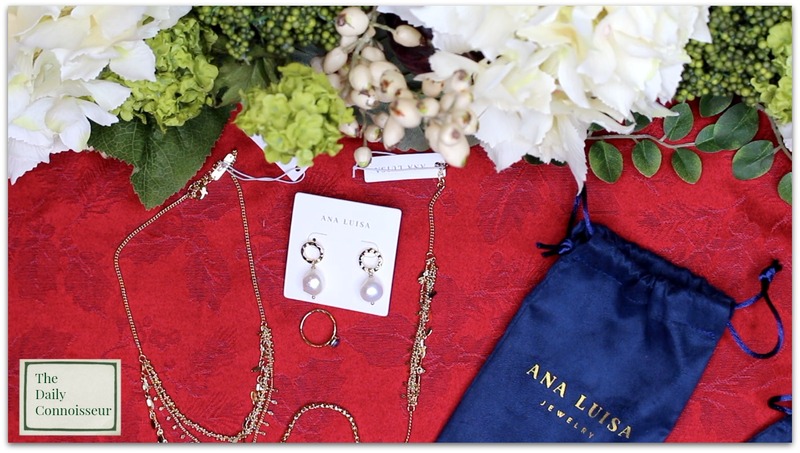 Ana Luisa Jewelry make beautiful, high-quality limited edition jewelry that is also affordable. These earrings, for example, are plated in 14K gold with real irregular pearls and sell for $85. Use code Jennifer10 with my link for $10 off. 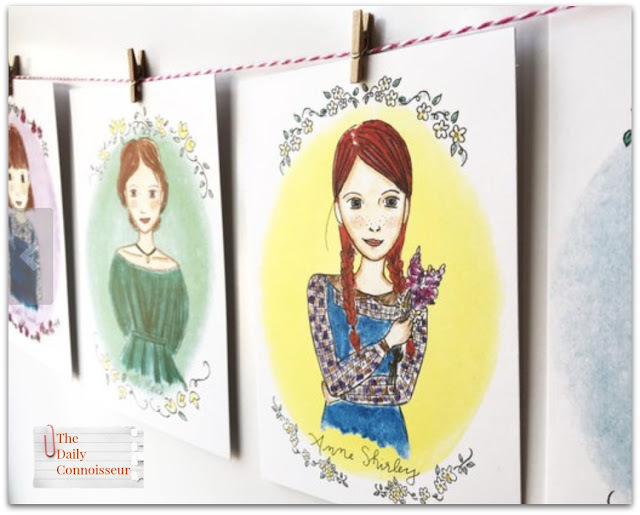 Jenny Williams is the talented artist behind Carrot Top Paper Shop. She creates art around literary heroines. Her creations make beautiful and unique gifts. New customers can use the code MADAMECHIC25 to receive 25% off during the holiday season (expires January 31, 2019). You know my favorite nail polish is by Londontown. 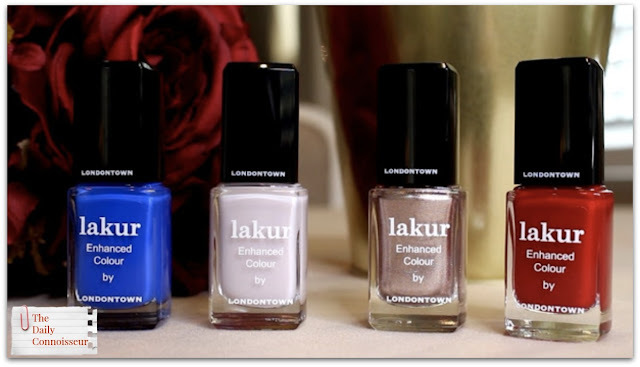 Their 9-free, vegan nail polish is cruelty-free and so luxurious. I love their formulas and their colors. Their beautiful packaging would make a great gift for your daughter, mother, aunt, or best friend. Use code JenniferS for 25% off your order. This year, I'm sending my literary agents in New York gift packages from Bend Soap Co. They have beautifully crafted all-natural gift packages featuring their famous goat milk soaps. I particularly love their sugar scrubs, milk baths, and generously sized goat milk soap bars to give as gifts. Use my link and code THANKFUL18 to receive 20% off your order (valid only from Black Friday to Cyber Monday at midnight). If you are seeing this after November 26th (Cyber Monday), use code DC10 for 10% off your order. My gift guide wouldn't be complete without a mention of The Madame Chic books, which make beautiful presents for any special lady in your life. 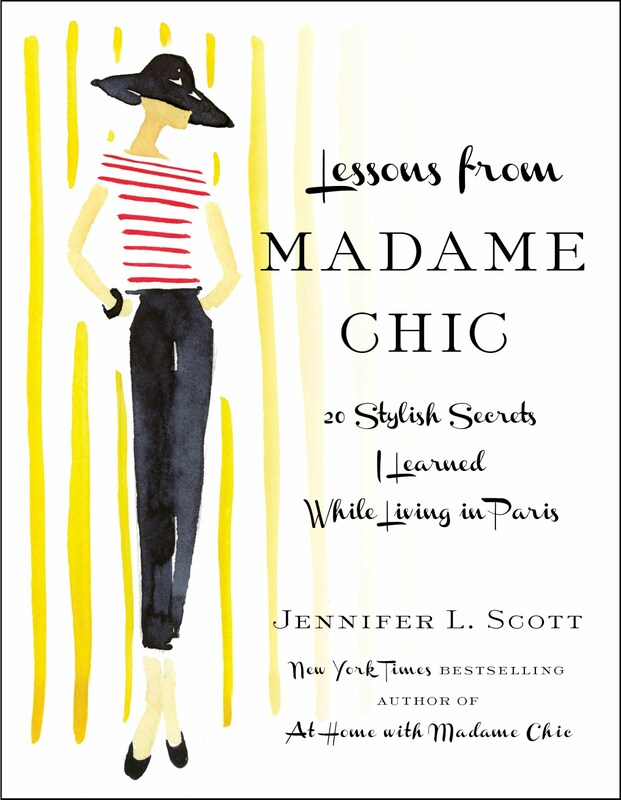 Not only are my stories about living in Paris with Madame Chic classic and unforgettable, the books are also beautifully packaged with artwork by Virginia Johnson. They make gorgeous coffee table books. I hope that this video has given you some ideas for inspired gift-giving this holiday season. Let me know if you have any other unique gift ideas in the comment section below. 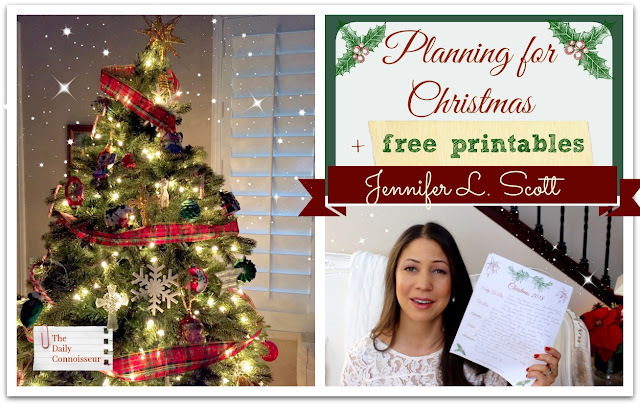 Have a wonderful weekend and I'll see you on Monday for my annual Planning for Christmas video (plus free printables!). 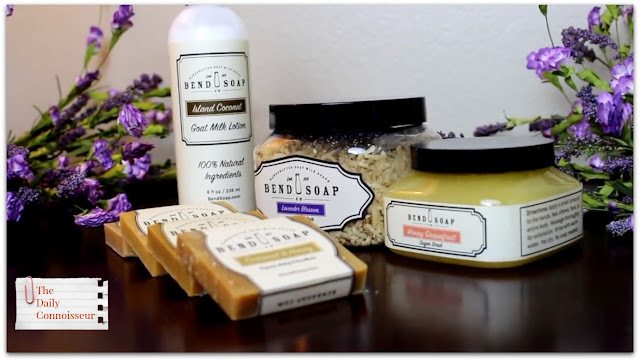 # Ana Luisa jewelry # Bend Soap Co.
Nikki Moreno from Inspired by Nikki, and her wonderful family, stopped by the Connoisseur household recently for a visit. Since the holidays are here (I can't believe Thanksgiving is tomorrow! ), we thought we'd sit down and have a chat about hosting etiquette. We start the discussion on my channel and finish the chat in a video on her channel. 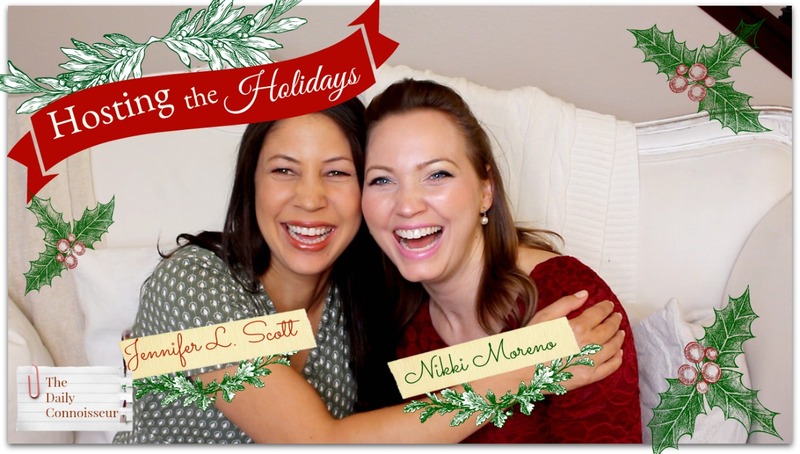 We had so much fun talking about this subject, which is really the point we make in our video: if you are hosting the holidays at your home, prepare and present your best, but also don't forget to have fun doing it. Don't let stress permeate your holiday. Try to relax and enjoy yourself and others. I hope you enjoy today's video. Check out Nikki's video here. 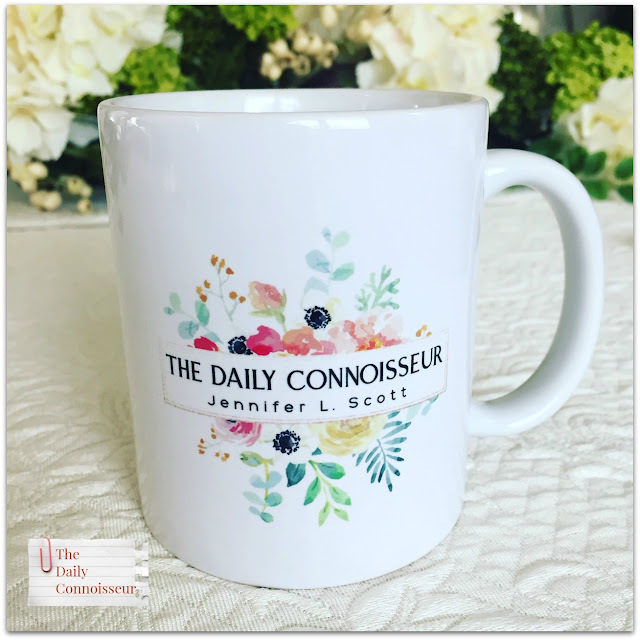 📍The Daily Connoisseur coffee mugs and tote bags make wonderful novelty gifts for fans of this blog. Jasmine writes, "Hi Jennifer, thank you for these interviews. Through you I discovered How Jen does it and Inspired by Nikki, who introduced me to Shannon. I love the ideas for Living Life well. As a full-time middle aged working mom with a demanding job, long commute and a family and house to take care of I was getting overwhelmed with my to do lists. All of you have helped me bring back some center to my life and focus on things that I truly care. I am still evolving.....and a work in progress :) Thank you to all you Wonderful Ladies!﻿"
Hi Jasmine, I'm so happy that this great YouTube community has helped bring back a center to your life. We are grateful to have you as a part of the family here on the blog! Thank you for joining me for today's video. I would love to hear your tips on hosting the holidays. Do you have any tips? Have you evolved as a hostess? Let us know and your comment could be chosen as comment of the week on the blog. I hope you have a wonderful Thanksgiving with your family. I'll see you on Black Friday for my annual holiday gift guide. See you then! When you gather together with your family, what dishes are you always asked to bring? In our family, I'm the pie person. Whether I'm hosting the holidays, or just a guest, I'm always in charge of the pies! My pies aren't always beautiful... often they are rustic (that's a nice way of saying they look a bit funny!). 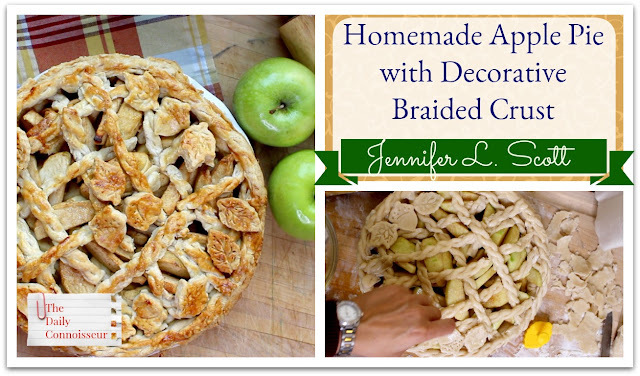 Today, I make a traditional homemade apple pie and I make a decorative crust, perfect for the holidays. I find that when I use a pie mold for the pastry, the pie always ends up looking impressive with minimal effort. I also use a pastry cutter to incorporate the butter and shortening. You could also use your hands, but I find that the cutter gets the butter into the right size crumbs needed for the flaky crust. And Pastry leaf and acorn stampers to create the decorative crust. This pie turned out really well. It was fun to make and delicious too. The addition of the lemon juice gives a tart zing to the sweet and cinnamon apples. I use the Emile Henri 9" pie dish, which is not only a beautiful dish, but bakes the crust evenly and has ample space for a deep-dish apple pie. This would be the perfect pie to make for Thanksgiving or even Christmas. For Christmas, I would just change the cutout pastry to Christmas-y shapes like gingerbread men. 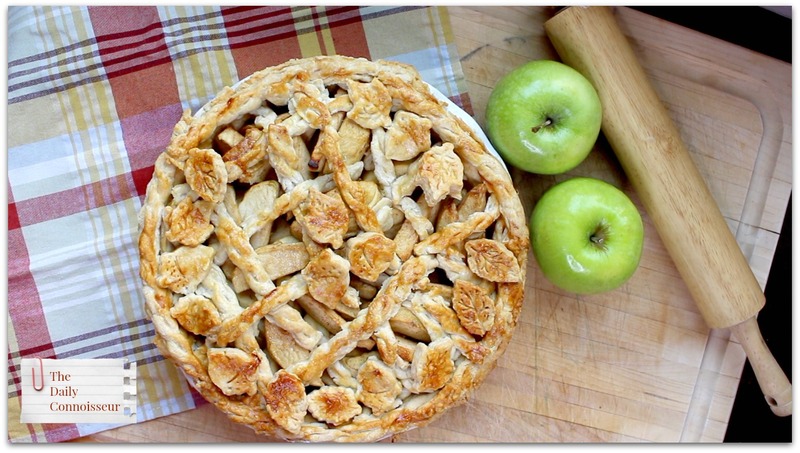 This traditional homemade apple pie is perfect for the holidays. 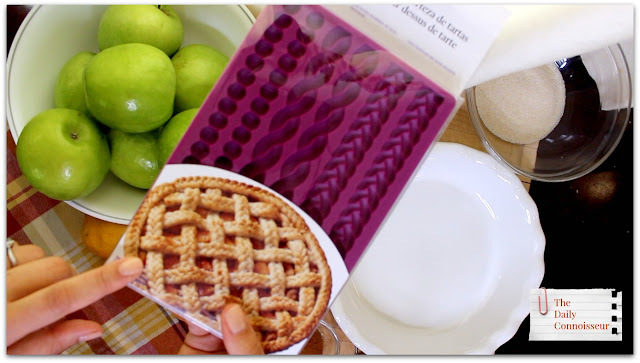 Use the pie molds and cut-outs to create a decorative crust. To make the pie crust, combine the flour and salt. Add the shortening in with a pastry cutter. Add the butter in with the pastry cutter until fully incorporated. The butter should look like large crumbs. Slowly add the water one tablespoon at a time until the pastry binds together. Roll the pastry into two separate balls. Wrap with plastic wrap and refrigerate for 30 minutes. To make the filling: peel and chop 6 tart apples. Squeeze lemon juice on top so they do not brown. Combine the sugars, flour, and cinnamon and mix with the apples. Set aside. 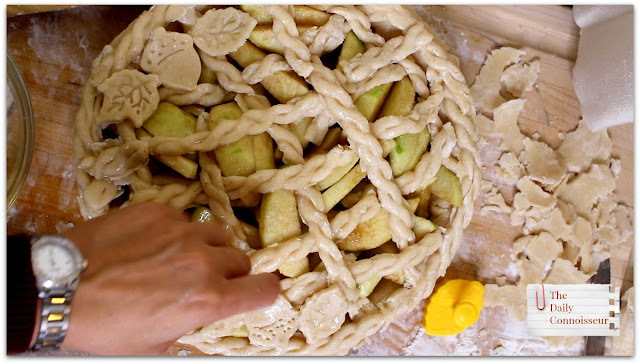 To assemble the pie: spread some flour on a large cutting board and with a rolling pin, roll your dough out. Place half of the dough in the bottom of a pie dish. Fill the pan with pie filling. Roll out the rest of your dough. If desired, use a decorative pie mold to give your pie crust a braided look. Use cookie cut-outs to create pastry decorations. Brush the pastry with egg wash and place in a pre-heated oven at 350 degrees for an hour, or until the pastry is golden brown and the pie is finished. Treat yourself to a Daily Connoisseur mug or tote bag. A fun novelty present for the upcoming holidays. Take my affordable eCourses, Create Your Own Ten-Item Wardrobe and Chic Financial Principles for Debt-Free Living. 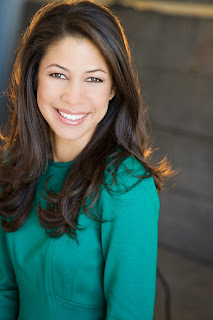 On last week's interview with Shannon Ables, Jasmine R writes,"Hi Jennifer, thank you for these interviews. Through you I discovered How Jen does it and Inspired by Nikki, who introduced me to Shannon. I love the ideas for Living Life well. As a full-time middle aged working mom with a demanding job, long commute and a family and house to take care of I was getting overwhelmed with my to do lists. All of you have helped me bring back some center to my life and focus on things that I truly care. I am still evolving.....and a work in progress :) Thank you to all you Wonderful Ladies!" Thank you so much, Jasmine! I love my interview series because it connects fellow connoisseurs in a very special way. Thank you for your encouraging words. Thank you for watching today's video. I would love to know... are you the pie person in your family? What are your favorite pies to make for the holidays? Let us know and your comment could be chosen as comment of the week on The Daily Connoisseur. I'll see you Wednesday for a special collaboration with Nikki Moreno. See you then!